I hope that all participants of the 17th ECM have already received a copy of Periodicum Biologorum issue with the selected papers from the conference and I’m looking forward to meeting you again this September in France. More details about 18th ECM can be found at colloque.inra.fr/18ecm/. Forty years ago, the First International Symposium of Carabidology (ISC) was held at the Smithsonian Institution in Washington, D.C. as a satellite meeting of the XV International Congress of Entomology (ICE). 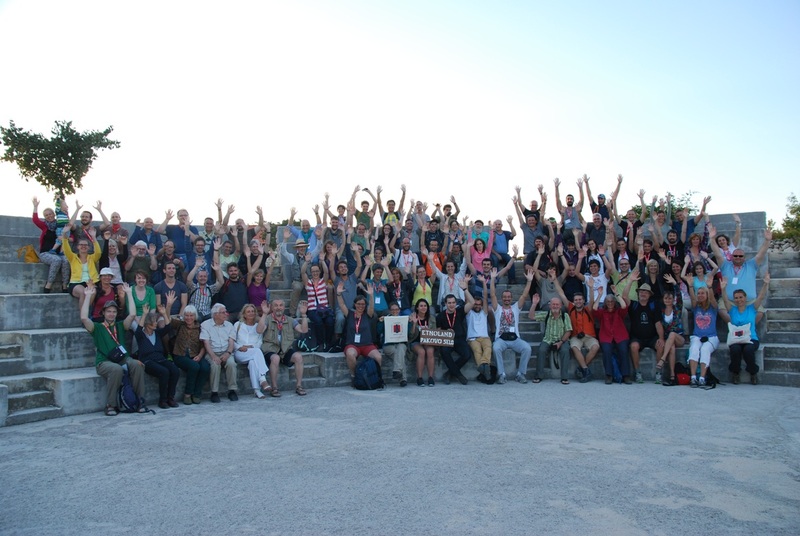 It was a hugely successful meeting bringing together the giants of the field (e.g., C. H. Lindroth, P. J. Darlington, G. R. Coope) with an enthusiastic bunch of younger carabidologists. This inspiring meeting lead to publication of a classic landmark book, Proceedings of the First International Symposium of Carabidology [Erwin, TL et al. (Eds. )], in 1979 that crystallized the international focus on carabid beetles as a topic for study. Much has happened since in all aspects of carabidology. 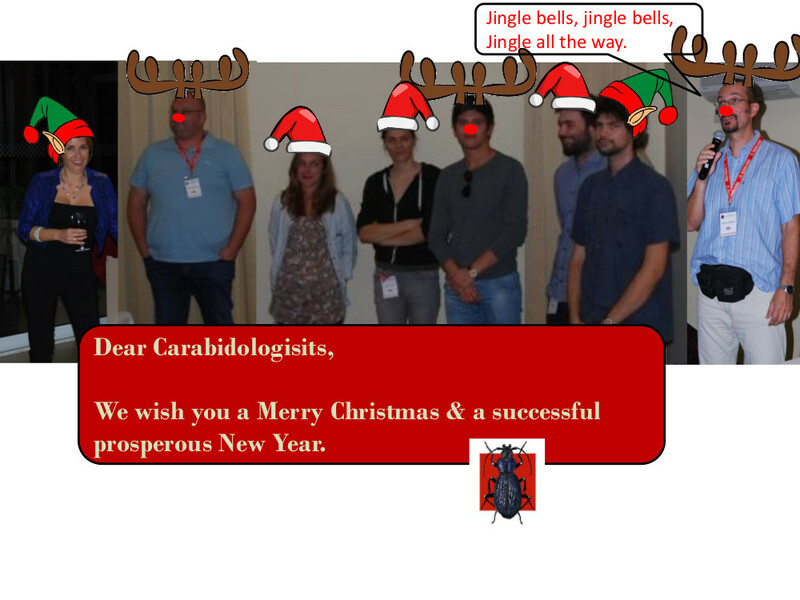 We suggest that it is time to convene another International Symposium of Carabidology, a 4th by our count. The timing of the upcoming ICE in Orlando, FL, that will bring many entomologists to the southeastern USA provides an excellent opportunity to do so. In addition to being the 40th anniversary of the first ISC, 2016 is perfect for such a meeting because two of today’s giants of the field, George E. Ball and Piet den Boer, mark their 90th birthdays in 2016. Although Prof. den Boer is unable to travel, Prof. Ball is determined to attend the meeting. Thus, we are organizing a meeting to be held on the University of Georgia campus in Athens, GA, in close association with the Warnell School of Forestry and Natural Resources, 20-23 September, 2016, just before the ICE opens in Orlando. Dr. Kamal Gandhi and her associates at the University of Georgia are handling local arrangements and registration. It appears that we will be able to put on an excellent two—and-a-half-day session of science and discussion about ground-beetles. Drs. Pietro Brandmayr (University of Calabria), Lucija Šerić Jelaska (University of Zagreb), David Maddison (Oregon State University) and John Spence (University of Alberta) will organize the scientific program of oral presentations and posters. Details about each of these matters are provided below. Icebreaker social: 6:30 PM @ Creature Comfort, a microbrewery within walking distance of the Hotel Indigo. Participants will be on their own for the entrance fee ($12 including 6 beer tastings). Poster set-up at 8:30 AM Flinchum’s Phoenix, Whitehall Forest. Lunch & Posters 12:00-2:00 PM. Participants on their own for supper in Athens. Poster set-up at 8:30 AM, Flinchum’s Phoenix, Whitehall Forest. Conference banquet at 6:30 PM. Talks 8:30 AM-11:30 AM, Flinchum’s Phoenix, Whitehall Forest. Lunch & Posters until 2 PM. The venue can accommodate up to 150 participants. For this reason we have decided to ‘invite’ the approximately 150 people who are receiving this circular to consider attending, and allow news of the meeting to spread by word of mouth. We are unsure of the level of interest or possibilities for people to attend, but will have to cap registration at 150 with early responders being assured of a place. The registration fee for the meeting is $100 and $70 for students in (US funds). In addition to some standard ‘house-keeping’ funds for venue, programs, etc., registration will include the cost of shuttle service between downtown hotels and Flinchum’s Phoenix Hall, three lunches and coffee/tea/health breaks during the three days of presentations and the conference banquet featuring a selection of tasty southern food and drink to be held at Flinchum’s Phoenix immediately following the second day of presentations. This registration fee must be paid in advance no later than 1 September and submitted together with the attached ‘Registration Form’ provided below to Brittany Barnes. For checks or money orders, please write the check or money order to ‘Warnell School of Forestry’, and put ‘Warnell Beetle Conf Gandhi’ in the memo field. We have made arrangements for a block or rooms to be held until 22 August with the Hotel Indigo in downtown Athens: 500 College Avenue, Athens, GA 30601 at a conference rate of $109/night for either King or Double Queen rooms. Under the arrangement we may add rooms at the conference rate if we surpass 40 reservations, subject to availability. Delegates may book at the Hotel Indigo online at http://www.indigoathens.com/, or by phone toll-free at +1-866-808-1483. Please mention the conference code ‘FIM’ when making your booking to ensure that you receive the conference rate. Although alternative routes are possible, we suggest that participants make their way to Athens via the Atlanta International Airport and then onto Athens either by renting a car at the airport (visit Kayak.com to see alternatives for rental), or by using the Groome Shuttle service. The shuttle will drop passengers at the Hotel Indigo and pick up there for their return flights as well. Given pressures on the Groome Shuttle service, we advise that trips be booked at least week ahead of time to avoid disappointment. It will be useful for organizers to know whether delegates will be driving on their own or require shuttle transportation between the hotel(s) and Flinchum’s Phoenix, which is 8 miles from the downtown hotel. Delegates should understand that Flinchum’s is isolated; nothing but nature, including some carabid populations, is within walking distance. We will be able to accommodate about 30 orally-presented papers of 20 minutes each, and about 12 ‘lightning talks’ of 5 minutes and display up to 90 posters. Lightning talks provide excellent opportunities for a student to present the central focus of their work in three or four slides, or for someone to crisply present a new idea or discovery that may be of interest to the group. Spoken talks will be strictly timed. We request that all proposals for presentation be made and abstracts be provided, as email attachments, through John Spence at carabid2@ualberta.ca no later than 1 August 2016. Please use the form on the last page of this document for your attachment. The proposals considered to best represent themes pursued by Profs. Ball and den Boer will be given priority for longer spoken presentations. The program committee will make these decisions. We suggest that any talks that cannot be accommodated within the program constraints be presented as posters. We will alert presenters to our decisions by 15th of August. If you require an official invitation to secure funds to attend ISC 4, please advise John Spence through an email to carabids2@ualberta.ca. Let’s get this new year started with the submission of your nice papers for the 17th ECM proceedings in Periodicum Biologorum journal. Gentle reminder for those who haven’t submitted yet, the deadline is in January 15, 2016. The manuscripts can be submitted using online submission system. Plese e-mail me in case you find it difficult to use. The instruction for authors can be found here. Thank you once again for participating at the meeting in Primošten where we enjoyed many interesting presentations on diverse topics. Accordingly, we expect to receive many manuscripts about your interesting studies for the 17th ECM proceedings. All participants who presented oral and/or poster contributions are invited to submit their papers to the proceedings. As already announced the options for the official 17th ECM publication have changed to Periodicum Biologorum in order to keep as many carabidological papers as possible together in one issue. 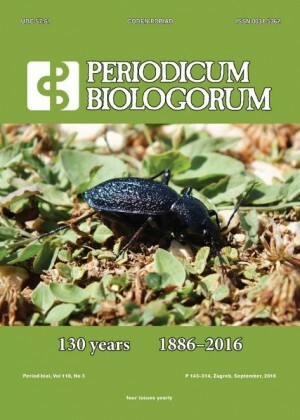 Periodicum Biologorum is published by Croatian Society for Natural Sciences established in 1885. It is indexed in ISI Web of Science, publishing all aspects of biology. You can see online back issues here. If you decide to send your paper to be published in PB, on the issue concerning 17th ECM, please use online editorial system here. Should you have any queries, please feel free to contact the editor of the journal, Dr. Sven Jelaska. While preparing your manuscripts please follow the instructions for authors and indicate in the cover letter that your MS should be placed within the issue concerning the 17th ECM. Only original work which has not been published before can be considered. After publication each of the students and regular participants will receive one free paper copy of the issue. I’m sure we will read in 2016 many interesting and high quality papers out of the 17th ECM. We have decided to extend the deadline for submission of your manuscripts to January 15, 2016. The pdf of the Book of Abstracts can also be downloaded from our website. I am very pleased to announce that the 17th ECM has obtained patronage of the The President of the Republic, Kolinda Grabar-Kitarović. The president Kolinda Grabar-Kitarović sends us a her greetings and welcome you all to Croatia. The opening session of the workshop, for those who are able to attend it, will be held at 7:00-9:00 p.m. on Sunday 20th. Prof. Dr. Gabor Lövei will share with us some introductory thoughts on a) why is it a good idea to identify a target journal before we start writing? b) how to do that?. The registered participants will be contacted by Dr. Stephen Venn, the workshop instructor. For those who plan to travel by car, the traffic flow, road conditions and border crossing can be checked at HAC – Croatian Traffic Info. Regarding the current refugee crisis, please check the latest info about Croatian border crossings. I wish you a safe and pleasant trip! The final programme of the 17th ECM with list of poster presentations have been added to the web site of the meeting. Instructions how to prepare the presentations can be checked here. Please ensure that your poster is displayed on the board with the same number as indicated in the programme (note that numbers may have changed since the draft programme appeared online). I’m glad to announce that the registration for the Workshop on Scientific Communication and Publishing is now open and full details of the workshop programme have been added to the web site. For those who plan to travel by car, the traffic flow, road conditions and border crossing can be checked at HAC – Croatian Traffic Info. “How to reach Primošten” and other information that may be useful for your trip to Croatia have been added in 3rd circular and can be printed. Regarding the current refugee crisis, there haven’t been any problems or delays at the Croatian border crossings. Watch us on Croatian National TV – HRT (in Croatian) in “Društvena mreža” show from 00:35:20, broadcasted on September 10th, 2015. We promoted the 17th ECM and CES. Many thanks to Prof. Dr. John Spence for his statement for HRT TV. You can expect pleasant temperatures in Primošten (from 18°C / 64°F to 26 °C / 79 °F on Sunday 20th of September, with hope to be continued). Sea temperature was 24°C this morning (nice for swimming in the sea). I wish you a pleasant trip and look forward to seeing you soon! I’m glad to announce that the programme of the 17th ECM has been added on the web site of the meeting. Furthermore, I would like to remind you that Standard Registration Fee has expired. Please, check the new rates of the conference fees on our web site. For payment on site, we may accept only Croatian Currency (HRK), so please have in mind to exchange your currency to HRK prior to registration at the conference desk. I’m also very pleased also to announce that the programme will include an Erasmus workshop on Scientific Writing for the 17th ECM participants. The course has been organised by the University of Zagreb and the 17th ECM organisation team in collaboration with Dr. Stephen Venn from the University of Helsinki, the instructor of this workshop, and prof. Dr. Gabor Lövei, from Aarhus University, the guest speaker. Full details of the workshop programme will be uploaded in a few days, when it will be possible to register for the workshop. There will be approximately 30 places in the workshop, and all those interested will be welcome to participate. In case of higher interest (more than 30 participants), students and authors of potential manuscripts for the conference proceedings will be given priority. The course can be used to improve manuscripts for the conference proceedings or for simply developing writing skills. I believe this course will help the participants to prepare their manuscripts for the 17th ECM proceedings. The course is free of charge. Best student oral presentation and best student poster presentations will be awarded for overall impact, originality, and quality of work. The 17th ECM committee that consists of organising committee chairs of the previous, current and upcoming ECMs will select the best presentations during the 5 days of the conference. Student with the best oral presentation will be exempt from the registration fee of the 18th ECM. Let us remind you on the very close approaching of the deadline for booking the rooms in the Hotel Zora, which is July 10th. To be able to book the room at the discount prices you should use promotional Access key ECM2015 you have also obtained upon registration process. For booking please visit Hotel Zora website. There will be possible to book the room after July 10th at the reduced prices, but it is not guaranteed. It will be dependent on the intensity of booking requests that Hotel will receive from other customers. Given the fact that Hotel Zora is actually on the beach of wonderful Adriatic Sea, invasion on rooms by non-carabidologists won’t be a huge surprise. Therefore, don’t let it happen. After booking you room, you have nice five relaxed days, till July 15th to send us your abstract if you haven’t done it yet. We are really looking forward into it.